Holiday Fun Foam Projects in C 'n T! Not trying to rush the season but I want to share some Holiday fun projects! 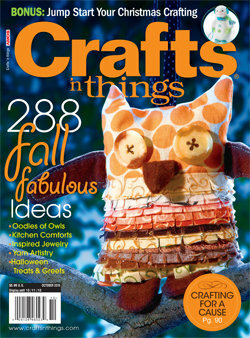 The fall issue of Crafts 'n Things is out! 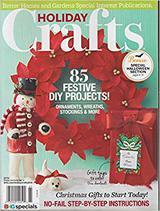 My wee button snowman made the cover in his own special wee way above the S for Snowman. He is needle felted over STYROFOAM brand foam, one of my favorite techniques. Also in the same issue is my version of the popular sock monkey using foam shapes as well. It is fun to work in reverse with the foam, I start with the shape and build around it instead of with sewing, sew the shape and then fill it. He looks very cute and happy-- especially with the jaunty hat!